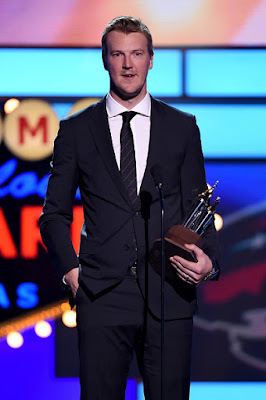 Devan Dubnyk of the Minnesota Wild was awarded the Bill Masterton Trophy tonight at the NHL Awards. From Michael Russo of the Star Tribune. The goalie, who was the key factor in the Wild’s second-half run that resulted in a playoff berth, was honored for his perseverance, sportsmanship and dedication to hockey. Devan Dubnyk, the goalie acquired in January who rescued the Wild’s season, was awarded the Bill Masterton Trophy at the NHL Award Show on Wednesday night in Las Vegas. 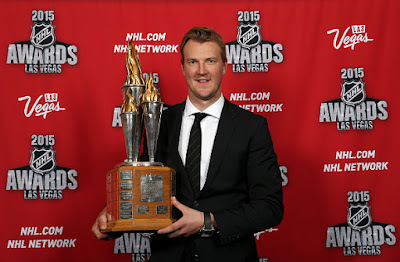 The Masterton is given annually to the NHL player who best exemplifies perseverance, sportsmanship and dedication to ice hockey. The trophy is named after former North Star Bill Masterton, who died in 1968 after an on-ice injury. With the Wild eight points outside of a playoff spot when he made his team debut on Jan. 15, Dubnyk led Minnesota to its consecutive trip to the Stanley Cup playoffs. Dubnyk, who set a franchise record with 38 consecutive starts following his acquisition from Arizona, went 27-9-2 with a 1.78 goals-against average, .936 save percentage and five shutouts after joining the Wild. He was the winning goaltender in 11 of the Wild’s 12 consecutive road wins (Feb. 18-April 9) that tied the 2005-06 Red Wings for the longest such run in NHL history. 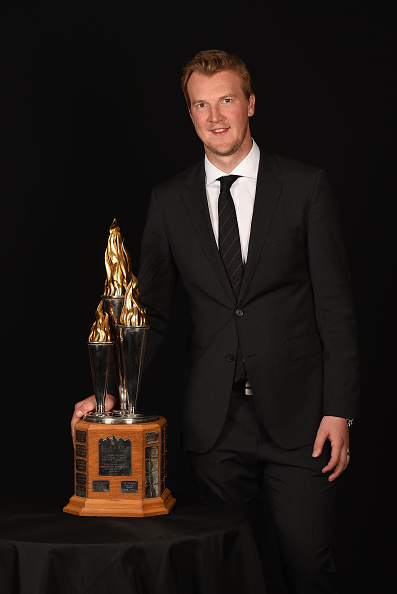 Overall, Dubnyk finalist finished the season second in the NHL with a 2.07 goals-against average and .929 save percentage. He also ranked in the top 10 in shutouts (tied for fourth with six) and wins (tied for sixth with 36). 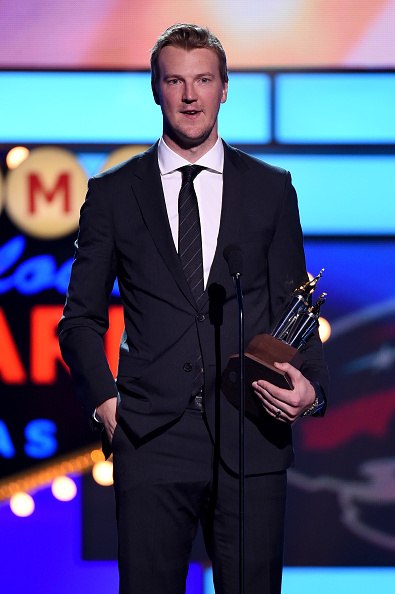 Dubnyk is the second Wild player to win the Masterton. In 2013, goalie Josh Harding won the award while battling multiple sclerosis. Dubnyk also was finalist for the Vezina Trophy, which goes to the outstanding goaltender. That award went to Montreal’s Carey Price, who led the NHL in wins (44), goals-against average (1.96) and save percentage (. 933). 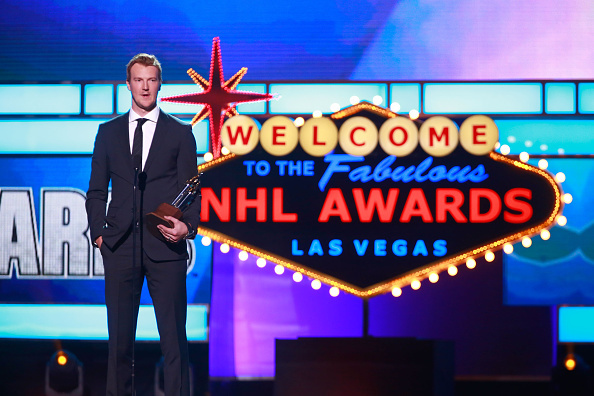 The other Vezina finalist was Nashville’s Pekka Rinne.